The 2012 vintage was a near perfect growing season in California, neither too hot or too cold resulting in a bounty of top notch ripe fruit. It was certainly a welcome reprieve after a few challenging vintages, especially 2011 which resulted in miniscule yields. 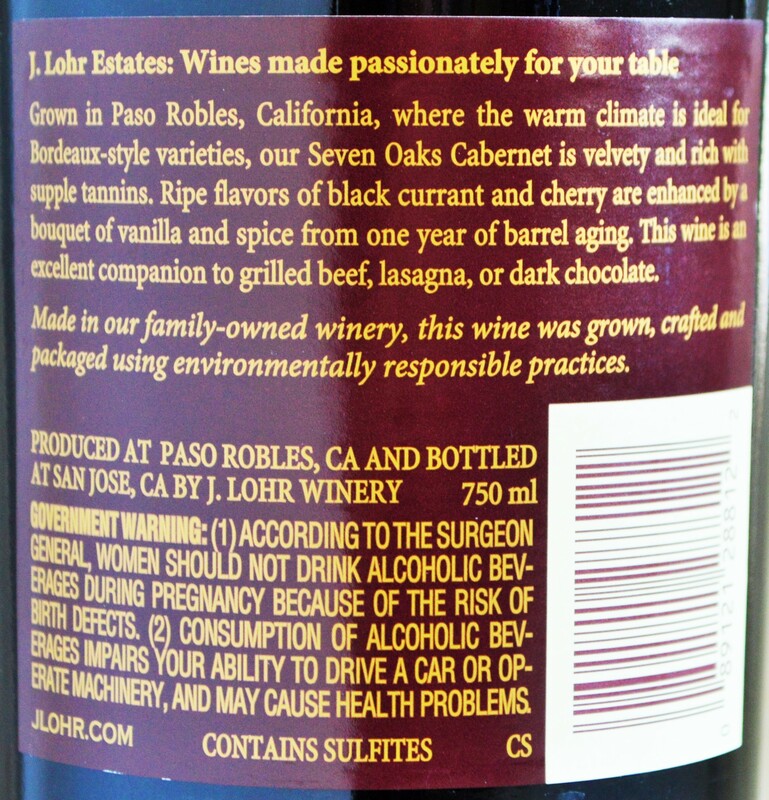 J Lohr is instantly recognizable for their plush, consistently over-achieving Seven Oaks Paso Robles Cabernet Sauvignon. It’s often reliable, especially when you’re stranded in your local grocery store trying to find something decent in-between all of the bottles adorned by cute creatures and bare feet. 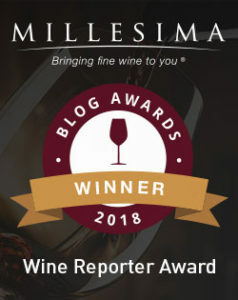 I reached out to the folks at J Lohr via e-mail and Twitter and they rather surprisingly completely ignored both attempts – so let’s hope it’s because they’re busy making great wine! 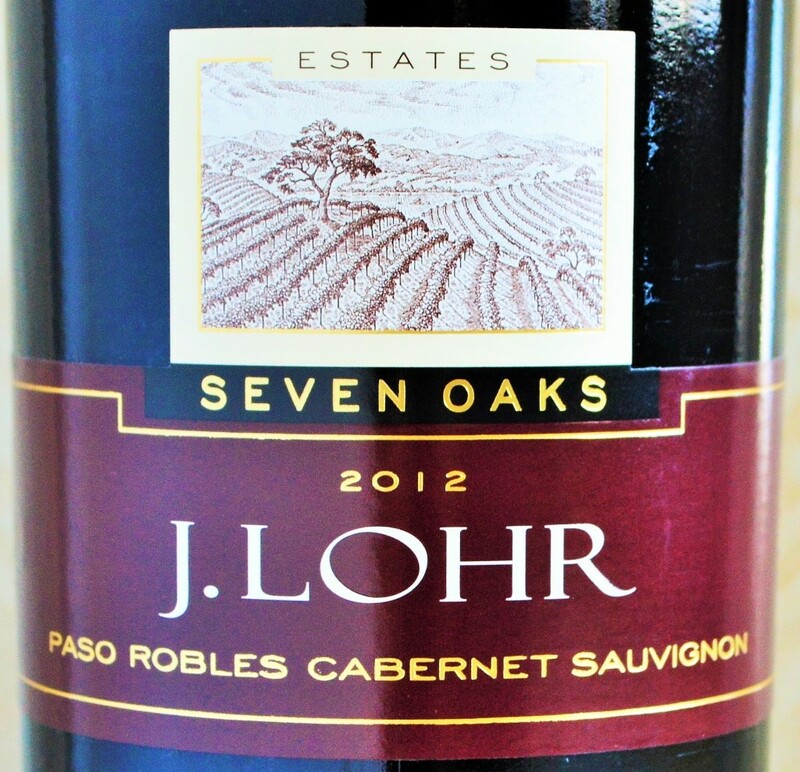 So while they’ve likely lost a future customer in me, I wanted to give my loyal readers a fair evaluation of the popular J Lohr Seven Oaks Cabernet Sauvignon from Paso Robles. Nose: A fragrant nose reveals vibrant red and dark fruit: raspberries, currants and black cherries mixed with sweet toasted caramel and brown spice. On the palate: The J Lohr Cabernet is medium to full-bodied delivering a bounty of smoky, ripe red and dark fruit in a plush, immensely drinkable package bolstered by a touch of finely grained tannin. With decent concentration for a wine at this price, it finishes with subtle spice, sweet toasty oak with just a bit of heat. Should you buy? 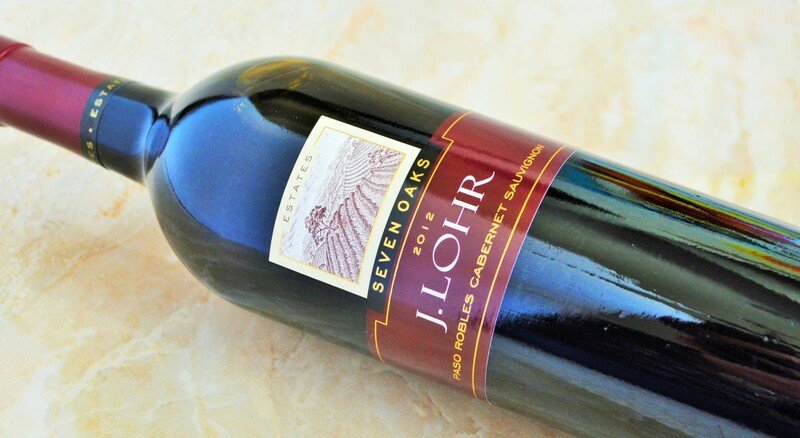 At under $12 the J Lohr is an excellent value in California Cabernet. When the order of the day is value-oriented yet high-quality Cali Cab, this delivers with lots of lush flavor for the modest price point. Look specifically for the 2012 vintage of the J Lohr Cabernet. Having said that, there are more interesting options in the Costco Wine Section and Trader Joe’s Wine Section for the same money or even less (more on this later). While the folks at J Lohr might not return e-mails or tweets, they are turning out a really nice wine for the money. While the J Lohr Cabernet certainly favors generous fruit and texture over depth and complexity, that’s all you can ask for from a wine at this modest price point. But California Cabernet itself comes with its own built-in premium. If you don’t absolutely have to be pouring Cali Cab then I’ll offer a few recommendations: You could spend $5 less in the Trader Joe’s Wine Section on the delicious Trentatre Rosso 33 – a great little Italian gem full of smooth, plush fruit much like the J Lohr. Or you could do similarly well in the Costco Wine Section and pickup the slightly more serious and complex Tarima Hill Monastrell for the same money or even the bold yet balanced Altano Douro for under $9. With so many interesting options, it’s tough to always go with the Cali Cab, as much as I love them too! UPDATE: J Lohr’s public relations firm reached out to explain the reason for the miscommunication. J Lohr did in fact respond by forwarding my e-mail to their PR firm but they were out of the country for an extended period of time.